Two-sided candle holder for a tealight or a normal candle. In general a candle holder is a standing base for a candle. Thinking about a candle holder for a tealight and a simple candle, I realized the shape which supports both candles the best was a cone-shape, but for each in the opposing direction. 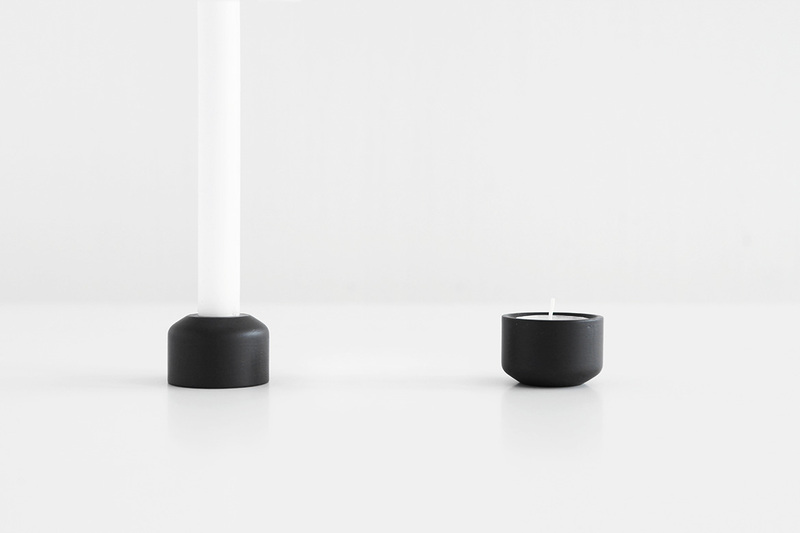 This two-sided candle holder works for both candle types simply by flipping it the other way around into the opposite direction.